We will sail from King St, Wharf number 6 Darling Harbour on Tuesday 31 December 2019 at Time 19.15, and return at Time 01.30 on 1 January 2020. Boarding from 19.00 hrs. Please be at the dock at least by 1900 hrs or before. Kate the cruise Director will be at the dock and giving out boarding passes. 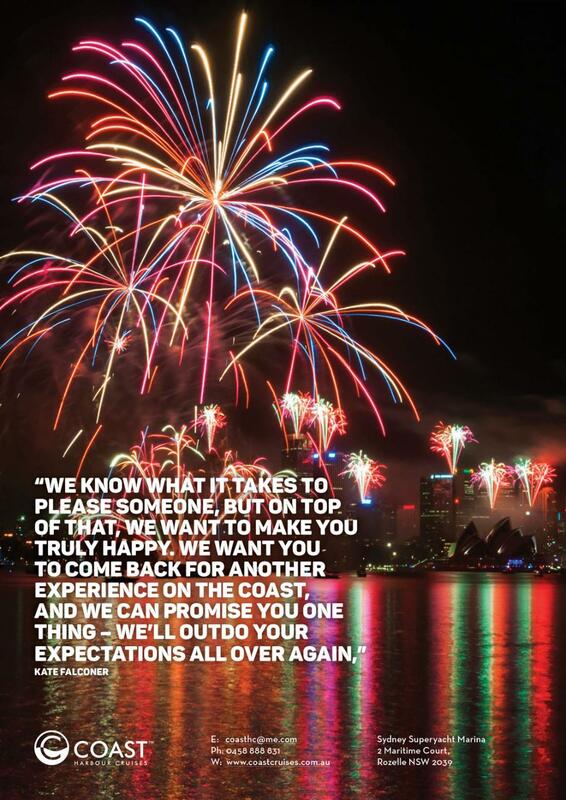 Coast will apply again for The Harbour of Light Parade so we have priority cruising areas. We have been in this event every year and will know later in the year of position.